The Yoruba Ronu Leadership Forum has said that President Muhammadu Buhari has been more democratic than the three previous presidents before him, including Olusegun Obasanjo. Mr Akin Malaolu, the Secretary-General of the forum said this in a statement on Saturday in Abuja. The Forum was reacting to recent alarm by Obasanjo that plans were being plotted to frame him by the Buhari-led APC government. “If Civil Society Organisations call for Nigeria’s anti corruption agencies to urgently revisit the 16 billion dollars Obasanjo Electricity and Power Development Contracts, will that now be deemed that Buhari is plotting to kill Obasanjo. “When Obasanjo was calling on Nigerians not to re-elect Buhari come 2019, there was nothing seen as wrong with his inciting and national destabilisation acts and declarations,” Malaolu said. He recalled that when Obasanjo was in power, nobody could have tried to do to him what he had been doing to bring down successive governments. According to him, it is now obvious that the posthumous national recognition and honour given Chief M.K.O. Abiola by Buhari and the declaration of June 12, as Democracy Day have become the rudest shock for Obasanjo to bear. He added that Obasanjo had forgotten that he and many officers were unwilling guests at the country’s diverse detention facilities because of their unbecoming and national destabilisation acts during late Gen. Sani Abacha’s military regime. The forum’s scribe, however, said that it was time to let the likes of Obasanjo to understand that without them, Nigeria would be a better country to live in. “We must caution Nigerians not to allow themselves get hoodwinked by liars in the country, who know how to turn things around and make it seem like they loved the truth for the sake of the truth. 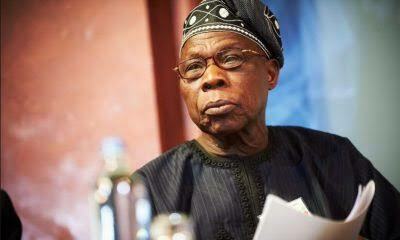 “Nigerians must not be quick to believe what Obasanjo said, because lies spread quicker than the truth,” he said.